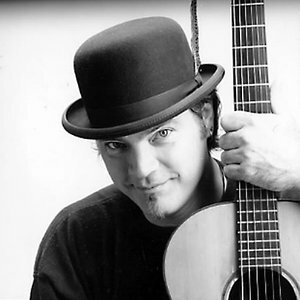 Ken Lonnquist is a funny, enjoyable songwriter from Madison, Wisconsin. He performs for audiences of all ages in a wide variety of musical styles. His kids' songs are flat-out unique?insightful, rib-tickling and literate?even old codgers and hard-bitten teenagers love them! Solo or with The Whateverlys or The Kenland Band his gift for improvisation engages audiences. He's known for audience interaction and songs made up right on-the-spot! He's appeared on NPR, CBC, and Pacifica Radio and at festivals, colleges, nature centers, schools and clubs everywhere. He's opened for Pete Seeger, Greg Brown, Holly Near, Si Kahn, Metamora, Walkin' Jim Stolz and other distinguished performers. Ken wears lots of different ?musical hats?. He's a Minstrel For The Environment, writing and performing about nature and ecology around the U.S. and Canada. Some know Ken as a kids and family entertainer; others for his general audience concerts. To others, he's best known for his work in musical theater where he's written over a dozen full-scale original musicals, including holiday favorite Old Befana. And some of Ken's biggest fans know him only through his recordings!